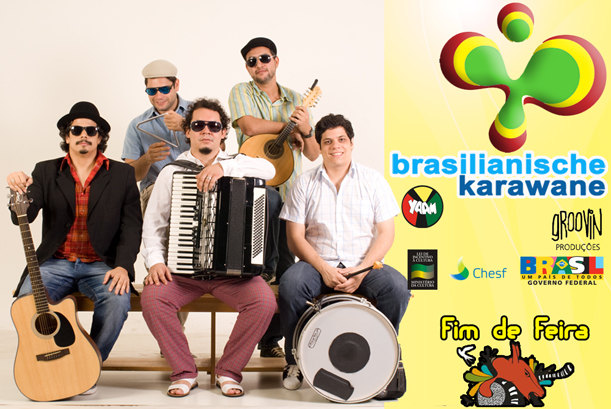 Winner of the Prize of Brazilian Music in 2009, for Best regional group, Fim de Feira brings in his compositions the most expressive northeastern rhythms, linked to the creativity of the line of poetry produced in Northeast Brazil. Emerged in 2004 in Pernambuco´s effervescent musical scene, Fim de Feira was born with the aim of reconciling tradition and modernity, contemplating, within a new aesthetic, the cultures of the rural environment and artistic reality of large urban centers. In 2008 the group released the award-winning “The Revolution of Pebas” debut album, produced by musician and producer Herbert Lucena. The CD is copyright and has the participation of teachers of the northeastern culture as Walmir Silva, Dedé Monteiro e João do Pife de Caruaru. The album bets on a range of rhythms ranging from baião ao carimbó, through the coco, forró, maxixe e cantigas de viola and the constant presence of the poetry of the singers and repentistas of the Brazilian Northeast. In 2010, the first DVD came, called “Fazendo a Revolução” (Making the Revolution) with live performance of the band’s work, pictures backstage and interviews of musicians and producers who have followed the trajectory of the group. 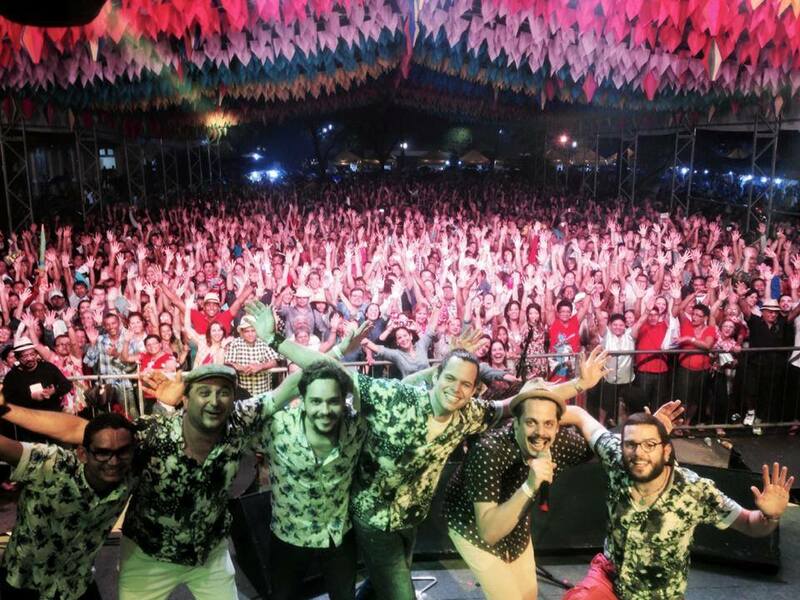 The combination of music and poetry, linked to a captivating stage presence, made Fim de Feira one of the most promising bands of the new generation in Pernambuco. Over the eight years of work, they has participated in important international festivals such as the 30th Caribbean Festival (Santiago de Cuba), Festival Bad Habits (Porto, Portugal) and Roots Festival (Amsterdam, Netherlands). In addition to concerts in spaces consecrated as the Cabaret Sauvage (Paris, France) Space Glory (Helsinki, Finland), Yaam (Berlin, Germany) and Sala Caracol (Madrid, Spain). 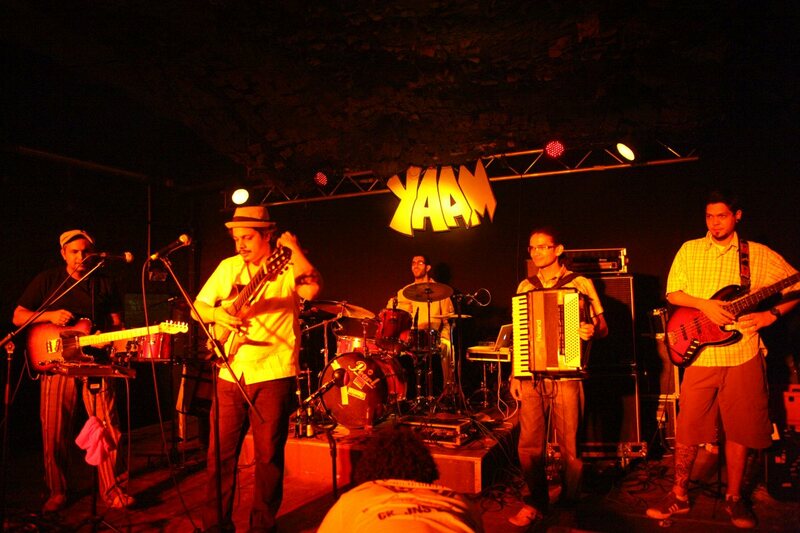 In 2012 the Fim de Feira finished their second CD “De Todo Jeito a Gente Apanha” with music production of Yuri Queiroga and participation of Elba Ramalho, Silvério Pessoa, Zé Brown e Gabi. Recorded and edited by Fábrica Estúdios in Recife, mixed at Studio Totem, in Sao Paulo and mastered in Miami at Red Traxx Music, the work is advancing on the path of diversity and musical hybridity, during over its 11 tracks, both traditional rhythms of Brazilian music as the baião, o coco, o maracatu, o choro, o samba e o forró and elements of universal music as jazz, folk and rock. With this work the band held a national tour through states such as São Paulo, Bahia, Distrito Federal and Minas Gerais. In February 2014 the band recorded their second DVD, entitled “Bomba Cordão”. 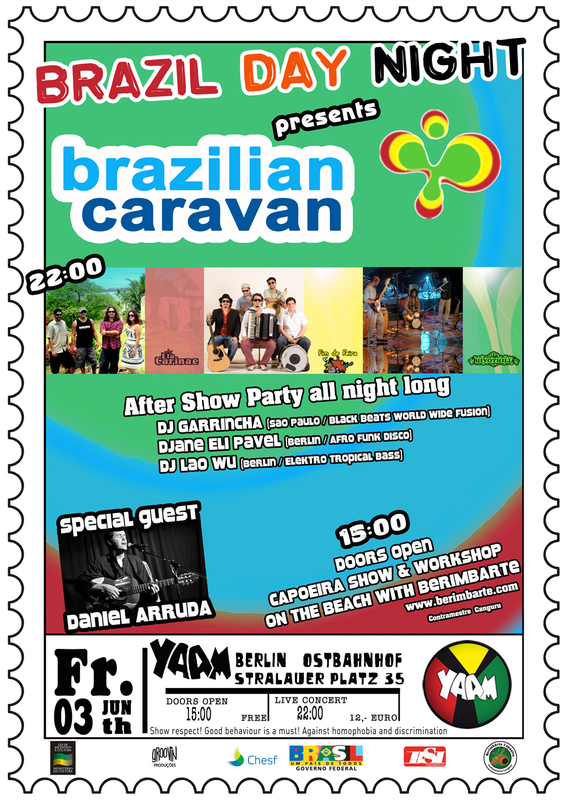 The show refers to the inland party´s called “Festa Junina”in the interior of the country, where the band recalls the old songs that marked the 10th anniversary of the emergence of the band. With participation of Bella Maia, Clayton Barros (Ex Cordel do Fogo Encantado, Cláudio Rabeca e da Banda de Pífanos Zé do Estado, the material will be released in June 2014.